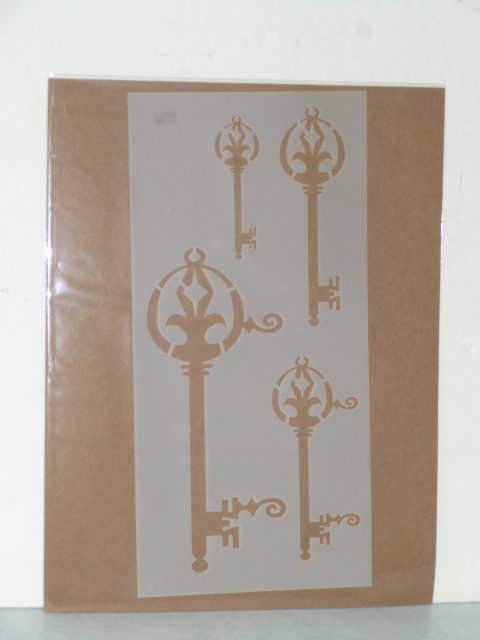 One of my FAV stencil stores was having a sale, so I bought myself a few new stencils to play with! Was THIS stencil ‘made for me’ or what?!?! It’s fairly small; 6″x6″. Won’t it be cute to use along with my “Keep Calm and Carry On” stencil?!? And my nest sign! Forgot what this one translates to?! Will probably use this one ‘combined’ and as individual words. Assorted sizes of skeleton keys. Thinking I can probably ‘change up’ the design on the top part. 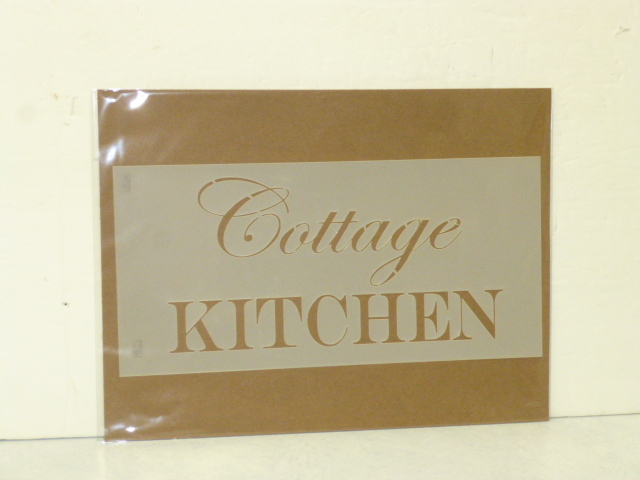 This is a big 12″x12″ stencil. Big silverware is so popular right now. 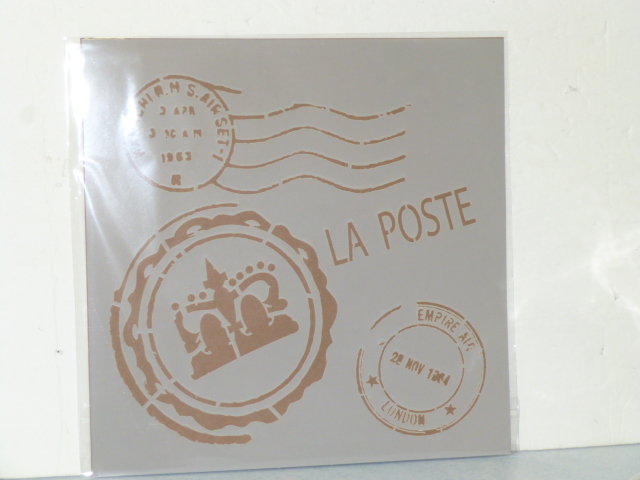 French postmark! My VERY favorite of this batch! Gonna use it on the tops of a trio of little tables. (the silverware might be cute too!?!) 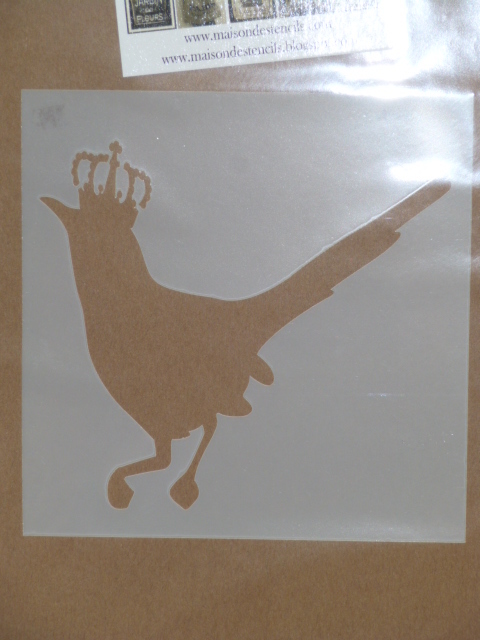 And I can probably use ‘just the crown’ in the stencil too! 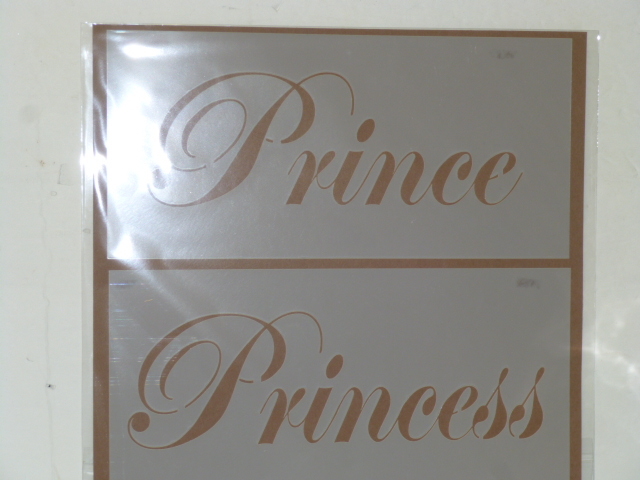 Cute signs for baby rooms? Once I’m all packed up (tomorrow) and moved into my new BIGGER space with some help from Michael (Saturday) and get the new space all situated (a couple more trips next week); I’ll have time to play with my new stencils! woo-hoo!! Love them all! But OMGosh, the first one could not be more perfect for you!!!! 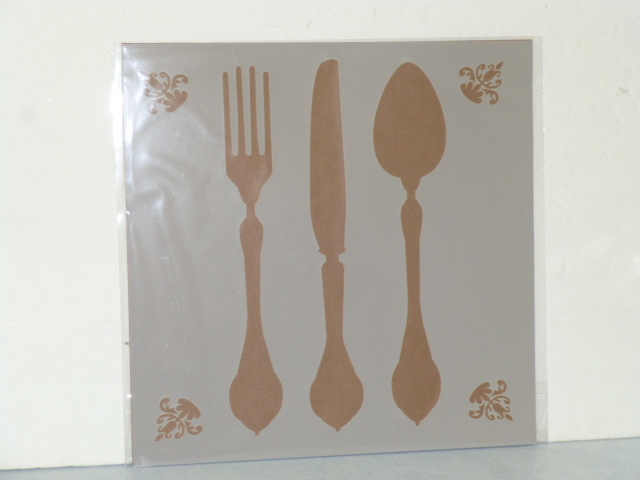 Can’t wait to see what cool things you do with your new stencils. Best of luck tomorrow with the move. I’m sure it will go well because of your pre-planning. 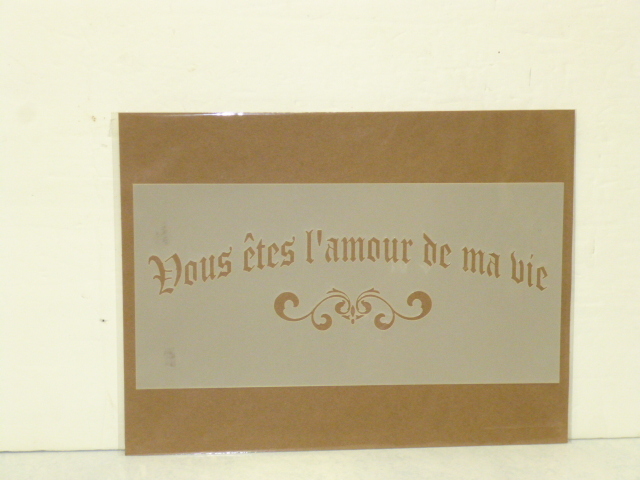 I believe it translates into “You are the love of my life…” Great stencils! Can’t wait to see what you come up with.